Living in the country during the fall there is a cute farm stand on every corner full of the most beautiful fall veggies, herbs, and fruit. It has been so inspiring to me this year. On top of all the cute roadside stands inspiring me, I have also been doing a lot of research in preparation for our farm. I am trying to decide what we want to grow, how to grow the things, and especially how we would be using these things in our life. 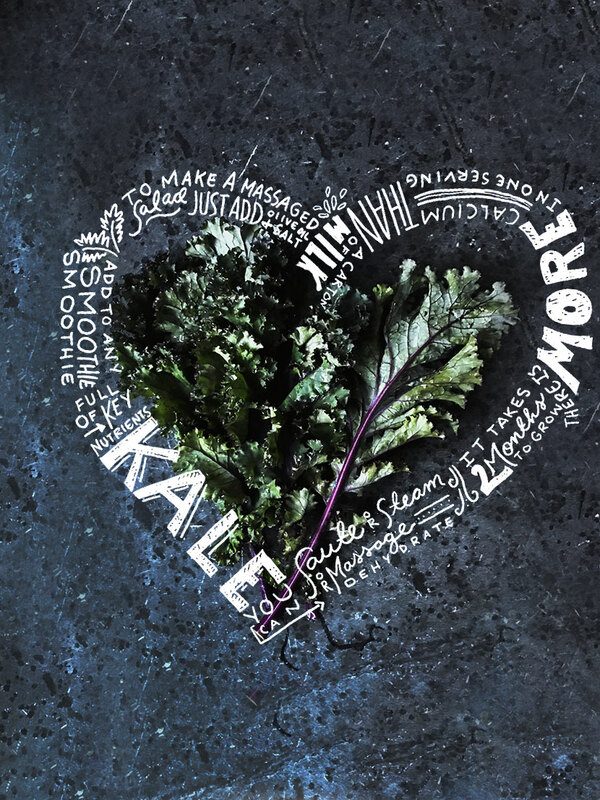 Naturally, I began writing down and doodling about many of these veggies and the facts I was learning about them. So, I thought I would share them with you this week to kick into your weekend in hopes it might inspire you to grab some of these at the market this weekend. 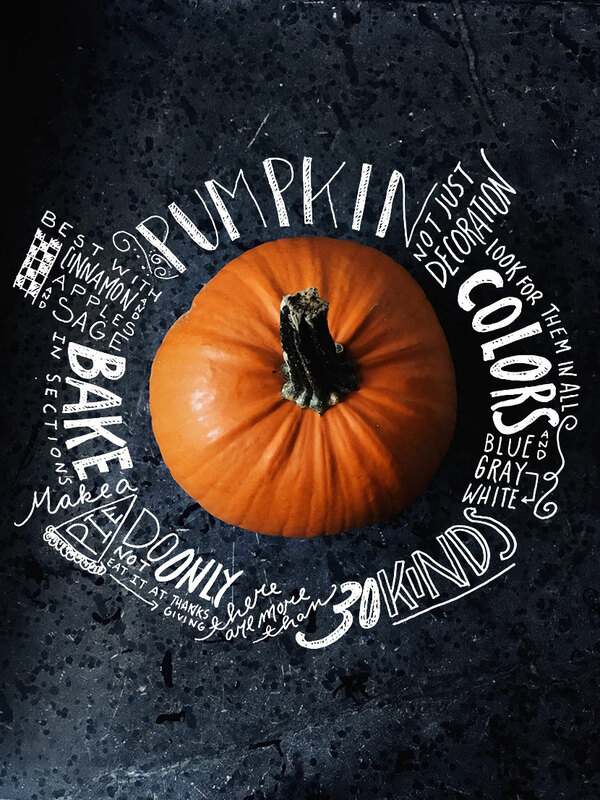 You can check out the doodles for all the info, but I also included some of my favorite things about each of these veggies, fruits, and herbs under each one. I love Butternut Squash because of how easy it is and cheap to add into nearly ANY thing this time of year. It is best in soups or baked and added to salads. It is also easy to interchange in recipes with sweet potatoes. It is also considered a super food so you it packs a great nutrient punch. I have been a little obsessed with researching these guys so much lately. I always grew up knowing them only to be in pie and muffins, but now I am realizing that there are tons of varieties that offer different flavors and options. They are fun to clean out and prep for baking if you like getting messy and taste amazing with apples and sage! Did you know there are over 3,000 varieties of these guys?!?! Isn’t that nuts! 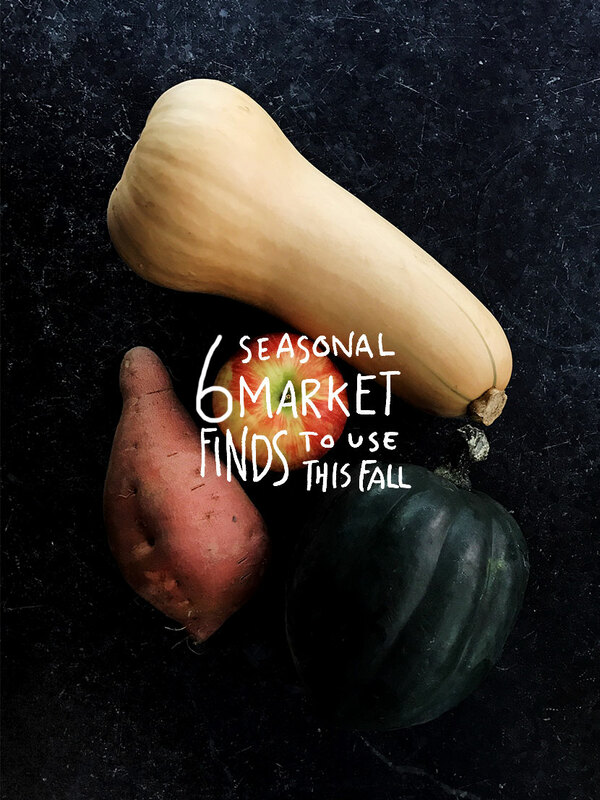 So it is a surprise they are the perfecting pairing with nearly any other fall veggie or herb. They are easy to chop up and add into everything to add a level of natural sweetness or tartness depending on the variety you use. 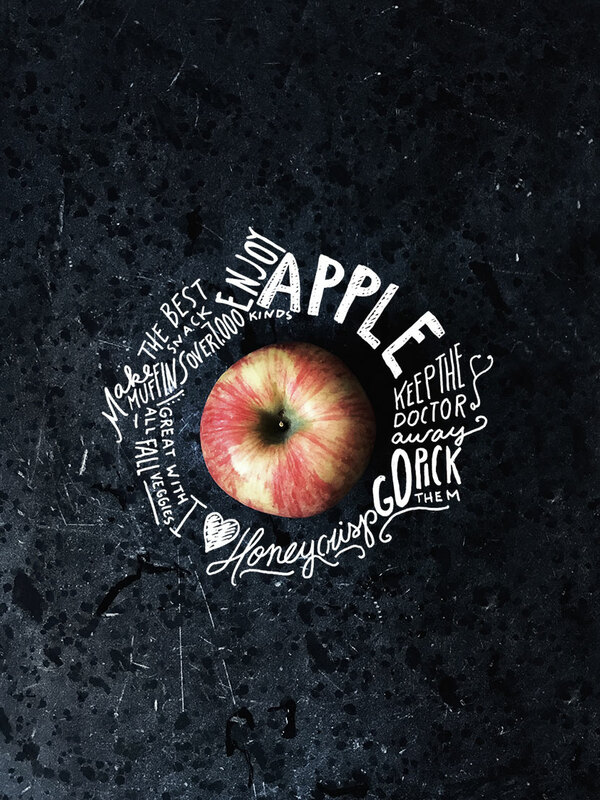 I personally am obsessed with Honeycrisp. Just down the road I found someone who sells a HUGE bag of them for just $8 and that’s a steal considering in the grocery store they can be about $6 for only 4 of them even when at the peak of the season. One of those guys can be a complete meal on their own. It has become such a popular veggie these days and I am so glad to see that. It is also the easiest veggie to cook or get on your plate. You can saute it, massage it, steam it, or eat it raw. It is very easy even with its harsh flavor. You can tone it down with some lemon and olive oil and salt typically. The one thing I just learned is that one serving has MORE calcium than a carton of milk! How about that?! 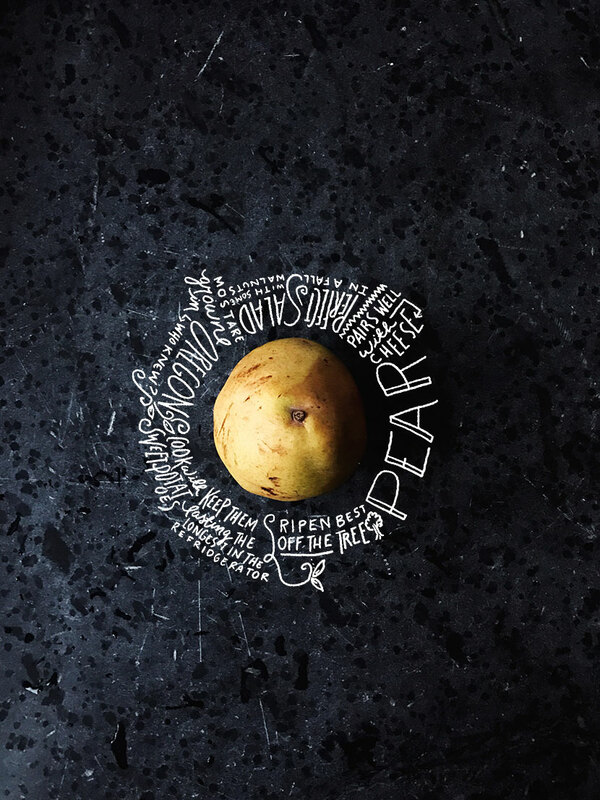 I love having pears this time of year. They are an awesome treat when you want something sweet. I love cooking them up with sweet potatoes or making a little saute with them and putting it on lamb or turkey this time of year. 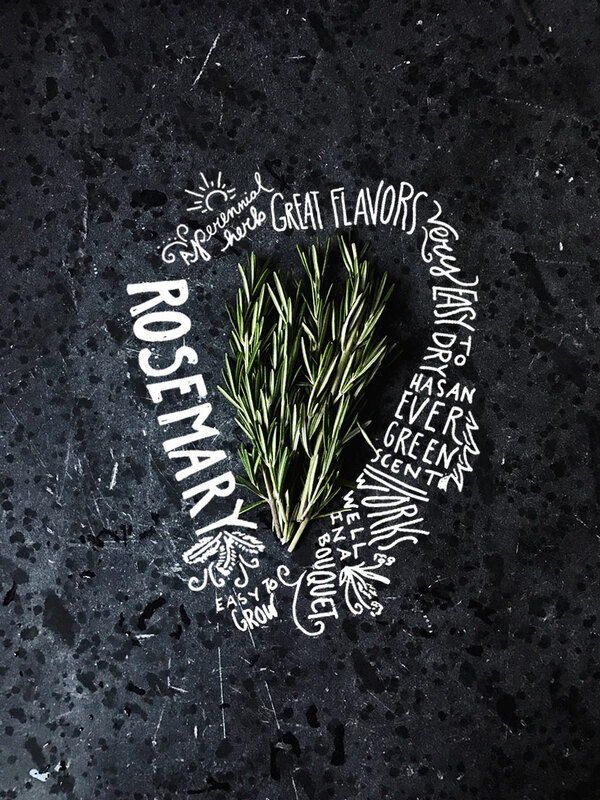 Oh, let me count the ways I love rosemary. It is so beautiful and easy to toss into bouquets but it also is an amazing herb to always have on hand. The best part is that it is a perennial so it will come back every year if you give it all that it needs. What items are you loving at the Farmer’s Market right now?! Such a lovely way to present food! Love your lettering 🙂 my favourite food item is chestnut… i just love roasting them and eating them as desserts and snacks! oh! 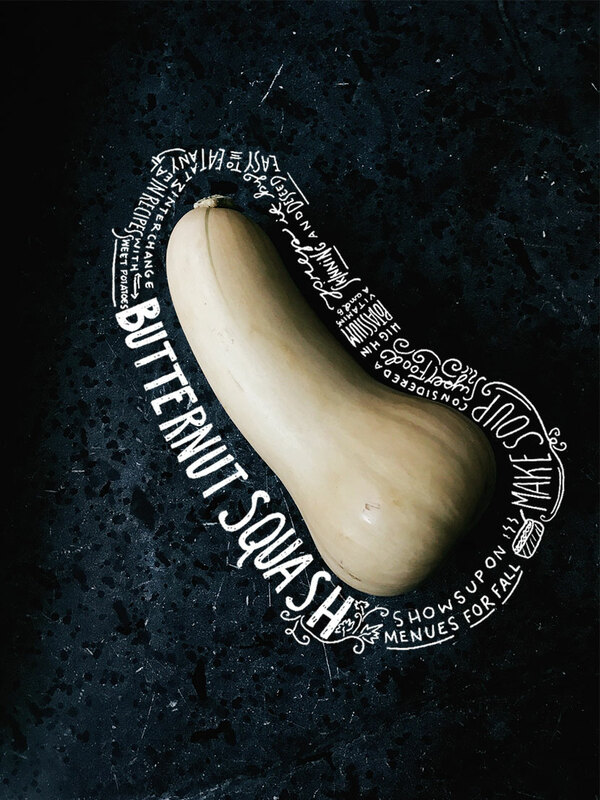 i’ve never tried a butternut squash before… i really want to try it though! This must be my FAVOURITE post of yours so far! love all the fresh market finds, and the use of lettering here. We’re so lucky to have fresh veggies, fruits and pretty much EVERYTHING all year round – living on an island definitely has its PRIVILEGES! I take advantage of the season by making batches of squash or pumpkin purée and freezing it for later. it makes for quick soup–take out a package and add with some (also frozen) chicken stock. Beware of rosemary–like mint it will take over your garden if you let it. That said, it makes a good ground cover. Re the calcium in kale: i read that our bodies can better absorb calcium from vegetable sources vs. animal sources like milk or cheese. Wonderful photos! My favorita at this moment are pumpkins! These are gorgeous Megan! You should illustrate a farmers market calendaR for northe n michigan! Laura – That is a brilliant idea! We are really really really thinking about doing that. If we do print those… we are mailing you a free one. Thanks for the idea! Absolutely love this!!! Fall flavors are the best and these images are just so wonderful! Never miss a post or an update. Get daily & weekly content round ups, and subscriber exclusive updates.